Are you looking to save PNG images as PDF files? The easiest way to do this is with a great PNG to PDF converter. In this article below, we'll introduce a useful tool to convert PNG to PDF files - PDFelement. There are definitely many desktop PNG to PDF converters available. However, PDFelemenet is at the top of the list. 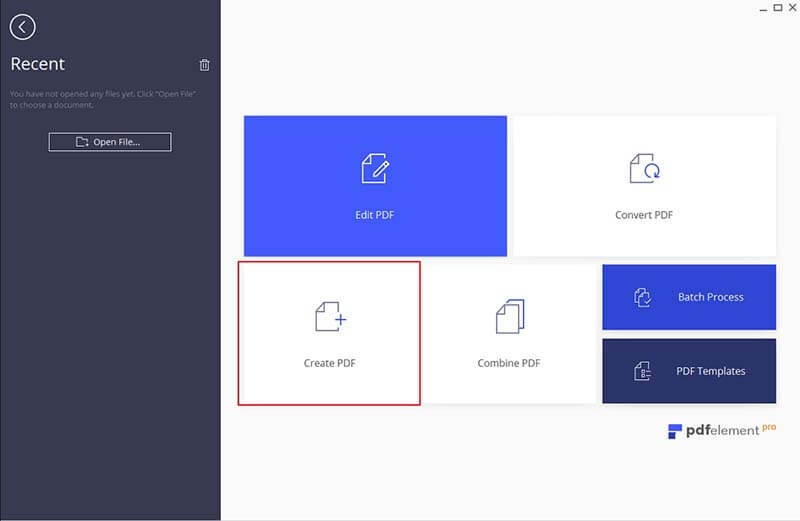 It lets you create PDF files that can be converted to Word, Excel, PPT, JPG, PNG, TIF etc. These file types can be converted to PDF format as well. 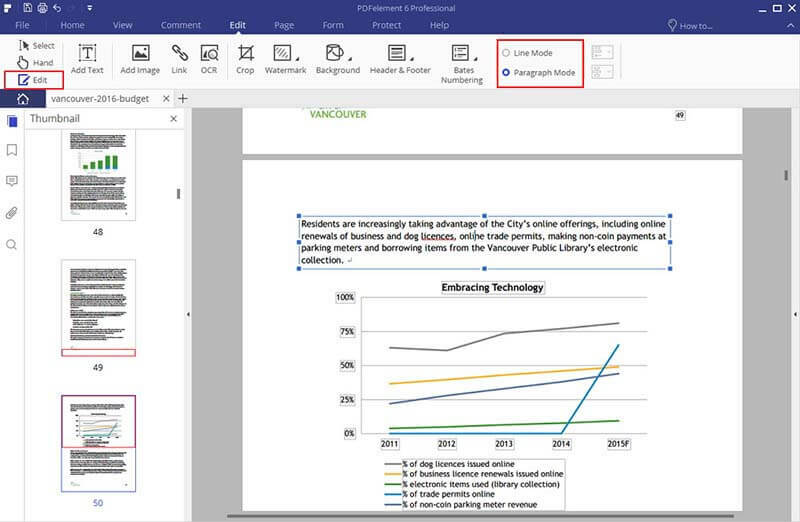 After the conversion is complete, you can edit the PDF file or annotate your document to markup the content. In addition to creating, editing, annotating, and converting PDFs without losing the original formatting, you can fill in PDF forms or create PDF forms with customized text fields and buttons. As well, PDFelement offers you multiple ways to encrypt your file by setting password restrictions and watermarks. Be sure to install PDFelement on your computer. If you want to change PNG into PDF on Mac, try PDFelement for Mac. Below, we outline how to use PDFelement to create PDF from PNG. Double-click the program icon on the desktop to launch PDFelement. And then go to the "Create PDF" box in the main window. When you do this, a dialogue box will appear. Next, select the PNG image from your computer to open it. It will automatically be converted to a PDF document after being opened in the program. All you need to do is save it to your computer! Sometimes, you might need to convert multiple PNG images into a single PDF document. If so, click on the "Combine PDF" box in the main window. In the pop-up window, click "Add Files" or you can drag and drop multiple PNG files into the window. Set the output folder to whichever location you'd like and hit the "Next" to start the process of combining multiple PNG files a single PDF file. In order to edit your PDF documents, you can hit the "Edit" button on the top-left corner to enable editing mode. For a better editing experience, you can go to the "Edit" tab, then choose either "Line Mode" or "Paragraph Mode" to recognize the text to edit. You can also add or delete text, or resize and edit images. Additionally, you can insert, delete, replace, extract, rotate, or split PDF pages in the "Page" menu. Go to the "Comment" tab to add a text box, sticky note, typewriter, underline, or highlight to your PDF documents with a simple click.